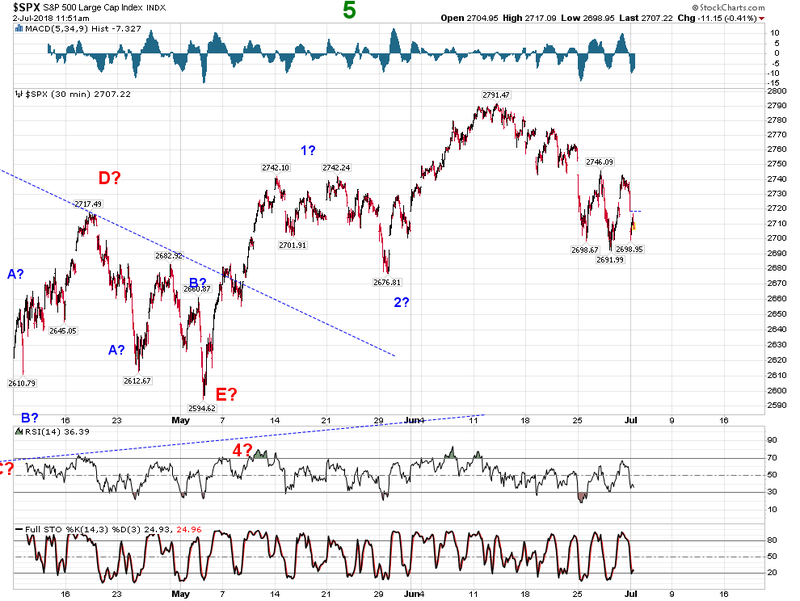 The SPX remains consolidating in a large degree wave, we main a large triangle. 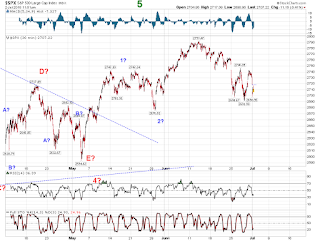 Currently we are down $11.15 at the $2707.22 level. I just return after being very sick.